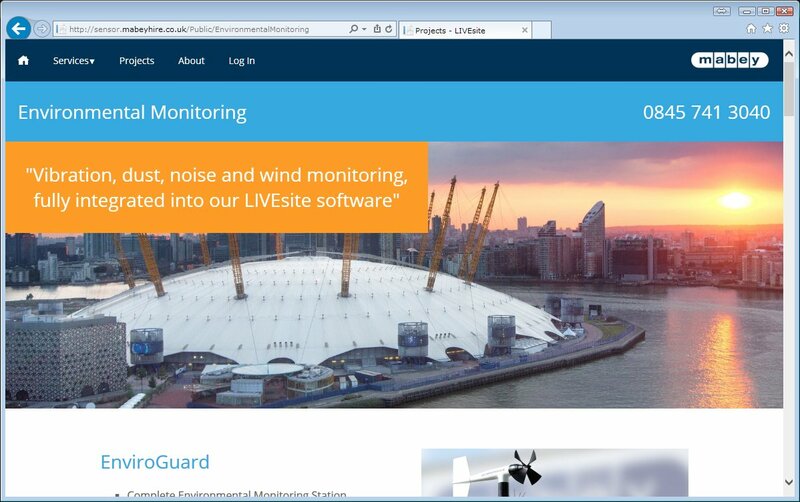 The LIVEsite website uses the latest software technologies to provide a fast, easy to use way to view sensor readings, alerts, events and behaviours. Select your project from the Project overview screen and you will go straight to the readings page. By default the readings page is set to view readings from Today. Select the sensors you want to view by selecting them on the right hand side. Click Show Graph to see a graph of those sensors. The help sections describe how to view Alerts and Events and enter equations for virtual sensors.